Find Me Gluten Free is a valuable app for those who are looking for restaurants offering gluten-free meals and dishes. It offers an impressive list of restaurants with user reviews and ratings, menus, direction maps, contact information, and personalized diet card. Developed by Gluten Free Classes, the app is compatible with iPhone, iPad, and iPod touch. Finding a restaurant that serves gluten free menus can be very difficult. This is particularly true when you are traveling to a new place and you are not familiar with the dining scene. Find Me Gluten Free app for iOS makes your search much easier. This app is technically a restaurant finder with maps and menus. It exclusive caters to people who need to eat gluten-free meals. When you open the app, you can immediately make a quick restaurant search by entering your location. The search tool allows you to enter specific location by address, city, state, or zip code. After tapping the search button, the app will show you a list of nearby restaurants that offer gluten-free menus. Tap any restaurant in the list to view important details such as address, contact information, website links, and the menus. You can call any restaurant from within the app by tapping the phone icon. This app also allows you to search nearby restaurants through a map view. The map shows the exact location of restaurants with street names and driving directions. In case you want to know what other people are saying about a listed restaurant, simply tap the review button to read customer feedback. The app also allows you to submit your own reviews and ratings in order to help other users. Find Me Gluten Free offers a comprehensive list of restaurants in its database. Some of the most popular diners in the United States can be found in the app including Chik-fil-A, Boston Market, Burger King, Applebee’s, BJs Brew House, Chili’s, California Pizza Chicken, and many more. Restaurants are arranged alphabetically to allow for easier search. The app offers two types of search views: the Business view and the Map view. The Business view section offers a list of restaurants near your address or location. The Map view, on the other hand, offers driving directions to nearby diners. One of the most useful features of this app is the Business Detail section. Everything you need to know about a particular restaurant is provided in the Business section including menus, contact numbers, addresses, ratings, reviews, and website links. 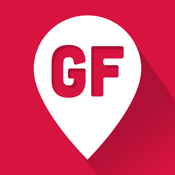 Find Me Gluten Free is an important restaurant finder app for people who are on a gluten-free diet. It offers a long list of restaurants and allows you to search nearby diners. This is a recommended app for everyone who loves to eat gluten-free food.